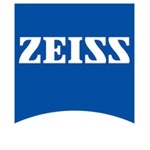 For more than 160 years, the Carl Zeiss® name has been synonymous with superior optics. state-of-the-art microscopes, galaxy-spanning telescopes, camera lenses, and binoculars. the creation of landmark cinema, including the Oscar™-winning Lord of the Rings. technically advanced, high-performance lenses built to the industry’s most rigorous quality standards. 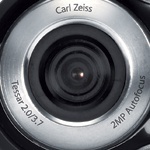 making it the perfect choice for webcams that must conserve on weight and bulk. system and the two-megapixel image sensor. ensuring a sharply defined image—even in extreme close-ups where the subject is only 10 centimeters from the lens. communicate with friends and family, or even take spontaneous snapshots. making it ideal for use in a webcam.